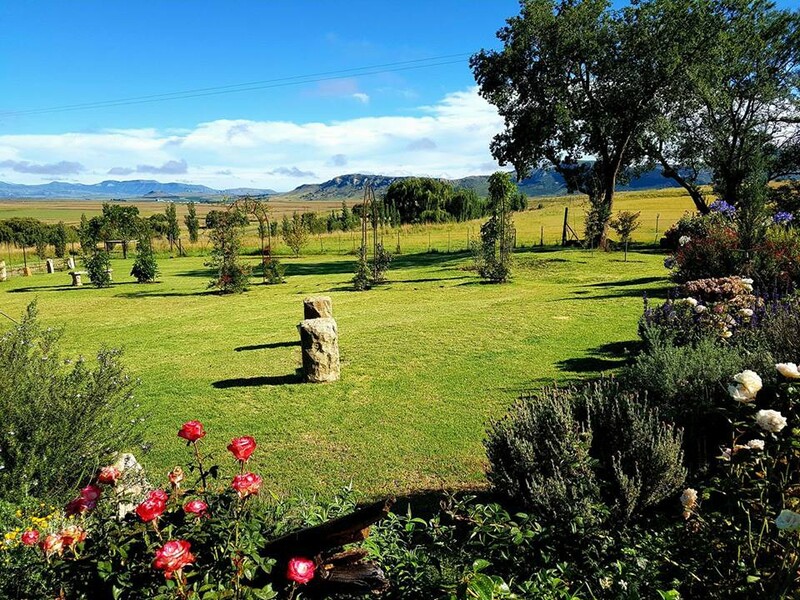 Immersed between the magestic eastern Free State mountains ,nestles Affi lande boetiek guestfarm……..a sandstone mountain retreat that is excitingly different. 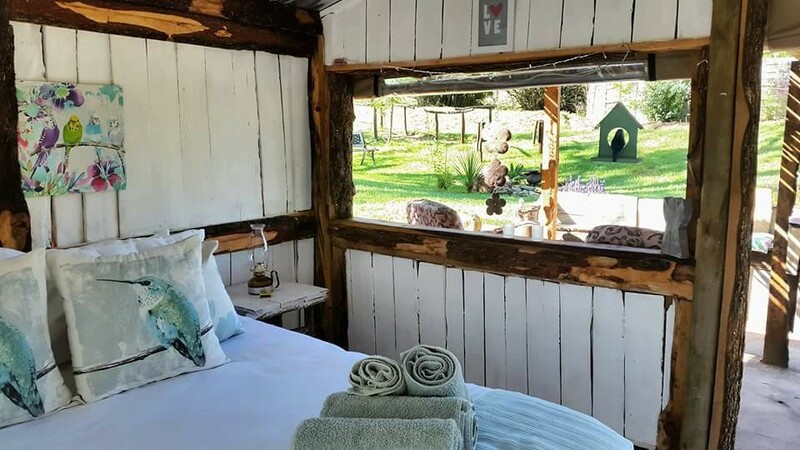 The 5 self catering chalets guarantee a comfortable and elegant stay.Each chalet is uniquely decorated in a different interior style with top of the range bedding and linen to ensure a good night’s rest under the bright stars. 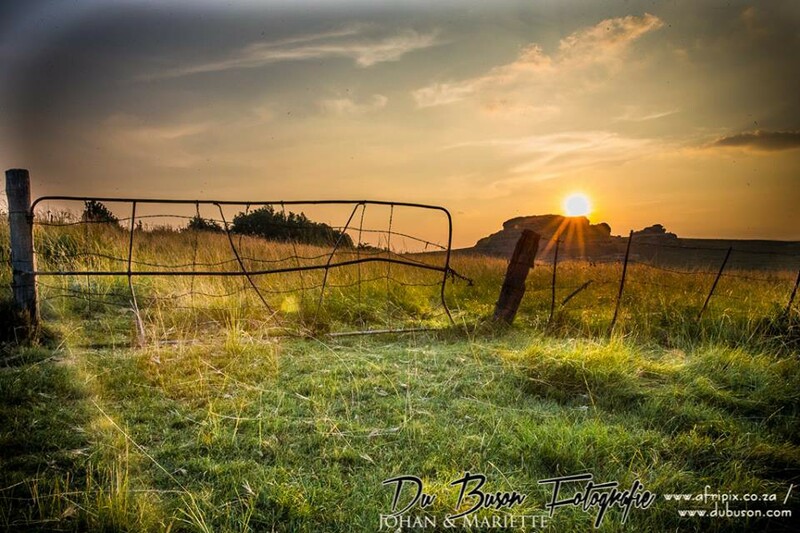 Perfectly situated in the middle of the eastern Free State hype,only 30 km from Clarens,10 km from the Caledon border post to Lesotho,80 km from Afriski and 5 km from the quaint little Fouriesburg village.We invite you to rediscover yourself,rest and relax. Decorated in stylish interior mixed with an earthy rustic element and attention to detail everywhere. Sandstone and corrigated high pitched roof. Selfcatering chalet with 2 en-suite bedrooms.One bathroom has a shower,the other bathroom has a bath. There is a three quarter bed,single bed and queen bed in the one bedroom.Queen bed in the other bedroom. 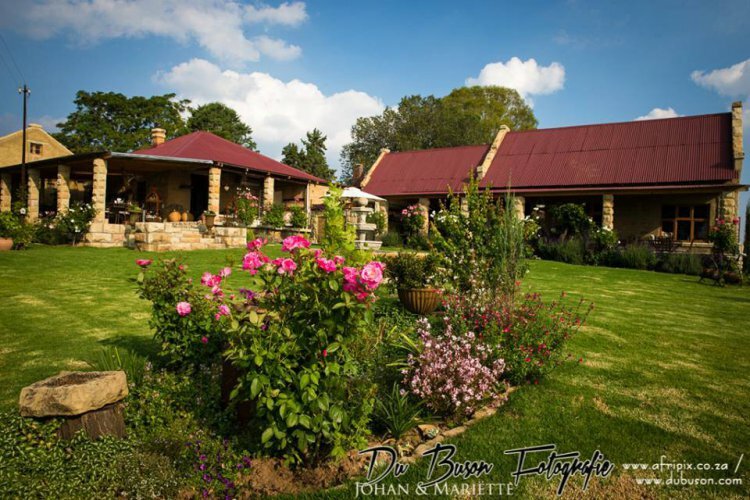 Fully equipped kitchen with large fridge,lounge with Jetmaster and comfortable a couch.Large undercover veranda with build in braai,table and chairs for 6,couch private garden with beautiful mountain views.White Egyptian cotten linen with down duvets throughout. Selfcatering chalet with 2 en-suite bedrooms.One bathroom has a shower,the other bathroom has a ball and claw bath. There is a queen bed in the one bedroom and a queen bed with a three quarter bed in the other bedroom. 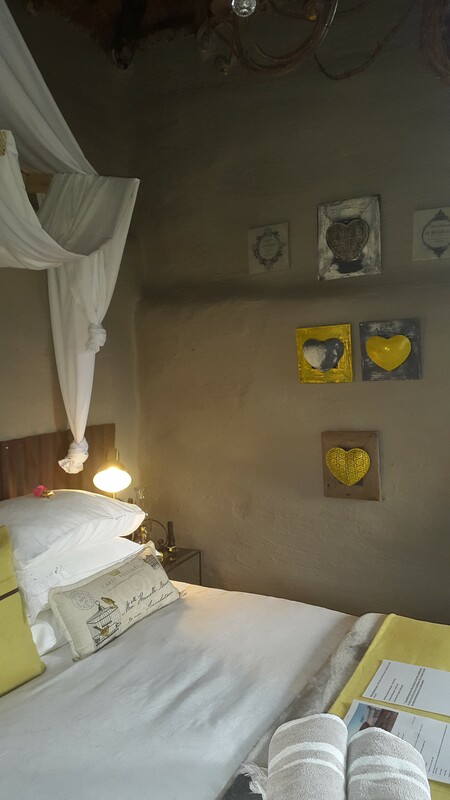 for 6,couch private garden with beautiful mountain views.White Egyptian cotten linen with down duvets throughout. 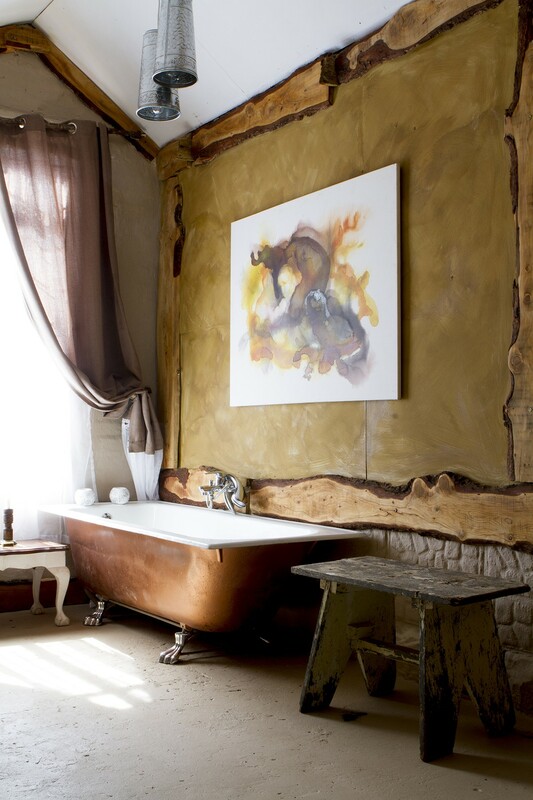 Decorated in stylish interior mixed with an earthy rustic element and attention to detail eveywhere. Sandstone and thatch selfcatering chalet with an open plan bedroom and loft upstairs.The loft can be reached with an amazing spiral staircase.There is a queen bed downstairs and 2 single beds in the loft. 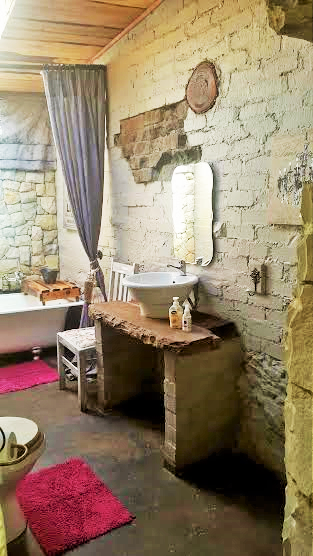 There is a seperate bathroom with a large double shower.There is a fully equipped kitchen,large undercover veranda with build in day beds with scatter cushions.Table and chairs for 4.Build in fireplace and braai.Two large lounge chairs infront of fireplace.Private garden with beautiful mountain views.White Egyptian cotten linen and down duvets. Sandstone and thatch selfcatering chalet.This unique chalet is decorated in a West coast theme with white ,blue and red throughout.It has a dominant nautical feel with it's own private beach (with beach sand),cocktail sail boat,stone table and benches and gazebo. There is an en-suite bedroom with a bath in the bathroom.There is a fully equipped kitchen with big gas stove and oven. 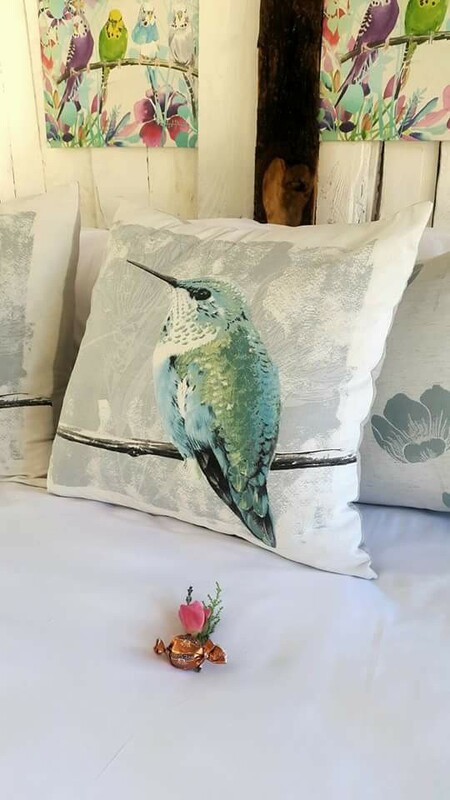 There is a lounge with a sleeper couch and dining area.There is a undercover veranda with build in braai,table and chairs and private garden with beautiful mountain views.White egyptian cotten linen and down duvet. Nestled amongst indigenous bush,lies a secluded and serene little piece of heaven where you will become one with nature. 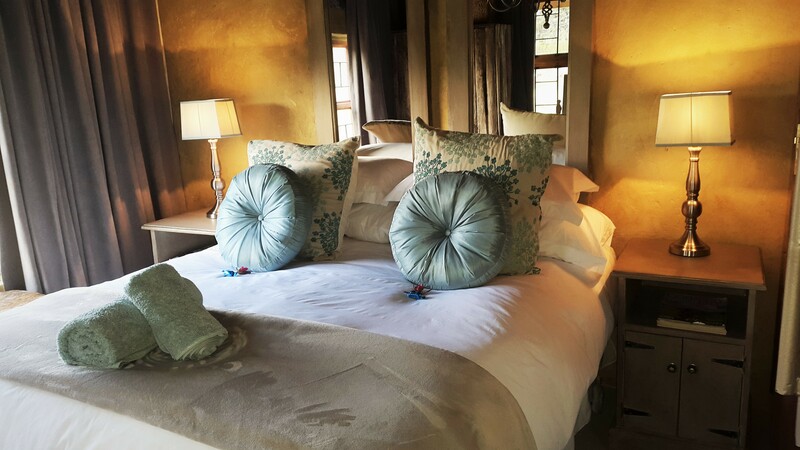 It is off the grid with no electricity but with luxurious touches such as a quality queen bed with Egyrptian cotton linen and down duvet. There is a "donkey" system that works with wood to provide hot water for the shower. There is a queen anne antrasite stove in for romantic heating. There is an open air kitchen with 2 plate gas stove.Braai area,crockery and cutlery but no fridge. There is an open air shower and seperate log cabin toilet. The garden is big and beautiful,there are benches and hammocks and it is very private from the other chalets. This stylish and elegantly decorated studio features a chaise lounge and attention to fine detail. The Studio is attached to the main building but has it's own private entrance and small enclosed patio with table and 2 chairs. There is a queen bed with en-suite bathroom with a ball and claw bath. This room has coffee and tea facilities. 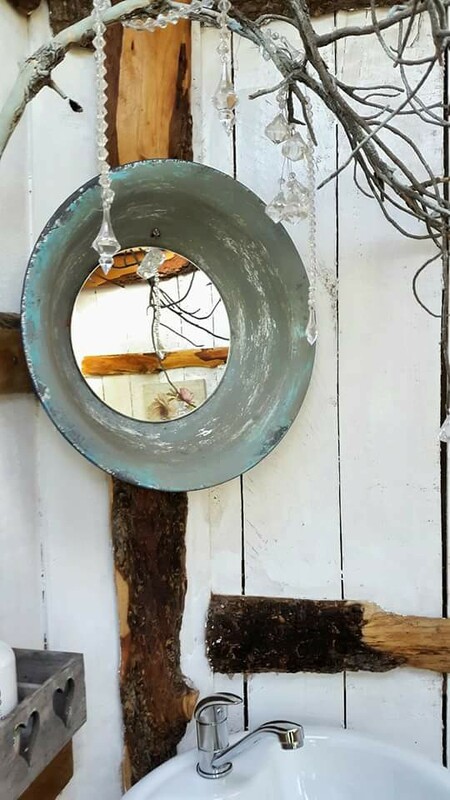 Rustic elements combined with creative style makes this an unique little cottage. and down duvet.There is coffe/tea facilities and a bar fridge.It is an openplan chalet with an en-suite bathroom with shower. Beautiful well kept gardens with prize winning roses and lavender all around. Interesting corners,seating areas ,a day bed under the shady trees and a trickling featured water fountain . Stone lapa and boma with fire pit,tables and chairs for 30 people for groupspecial occations. Bush church with seating for 100 under 100 year acorn trees. Rebel memorial of two rebels that where shot in 1914 on the farm. Hiking trails on the farm.Can hike to the breathtaking water tunnels and the overnight hut futher away. 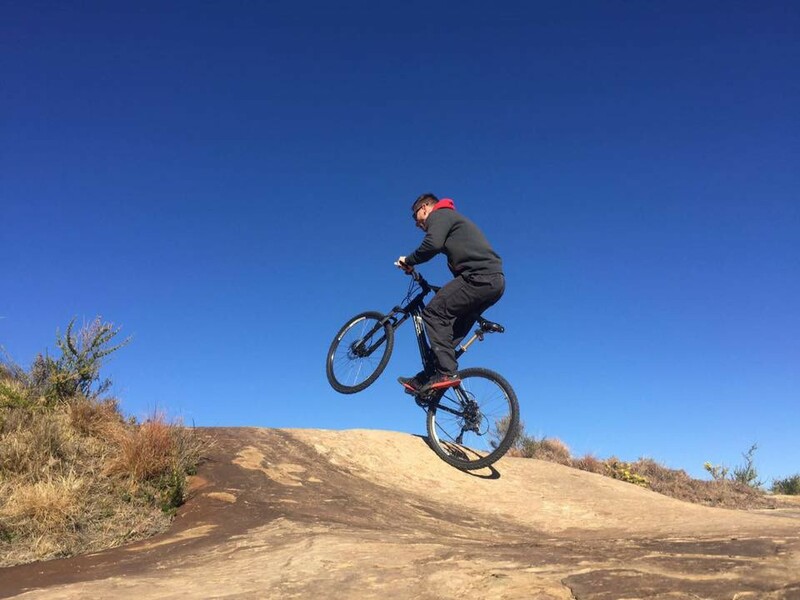 Mountain bike trail on the farm. Spa treatments can be arranged on request. Bird watching.A Secretary bird pair is home to Affi lande. Picnic on top of the mountain can be arranged on request. Hiking trail (most scenic ever!) 5km away in Meiringskloof Fouriesburg. Directions to establishment: From Bethlehem take the R26 to Ficksburg.Drive for 45km.We are 2km from the Fouriesburg turn off on the R26 on the left.